Dumb dumb never showed up to install our stove. To make it brief, we offered to get him parts and everything, then he says it’s because he has to get parts that it’s taking so long. I called insurance and told them the situation. Hints were made. It is now installed. Some more Durok is going up this morning and then we can have decent heat again! 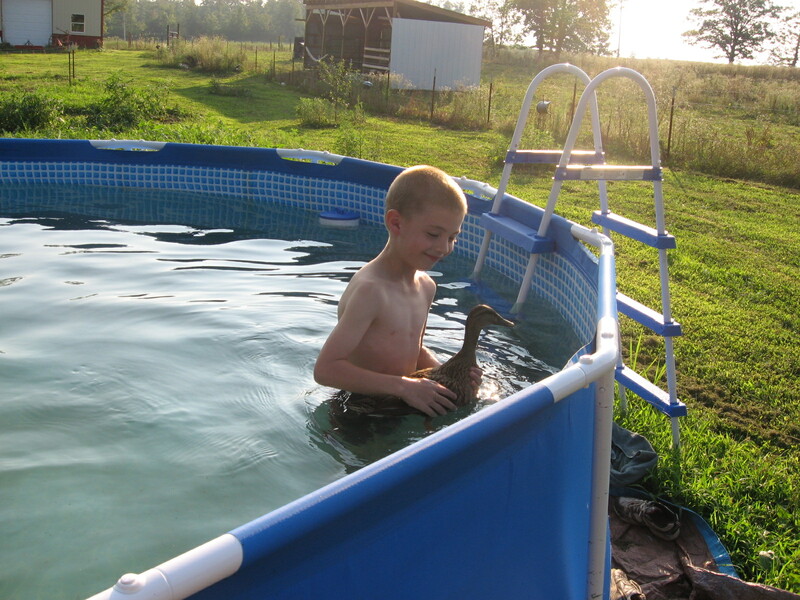 We incubated 2 duck eggs and 12 chickens. 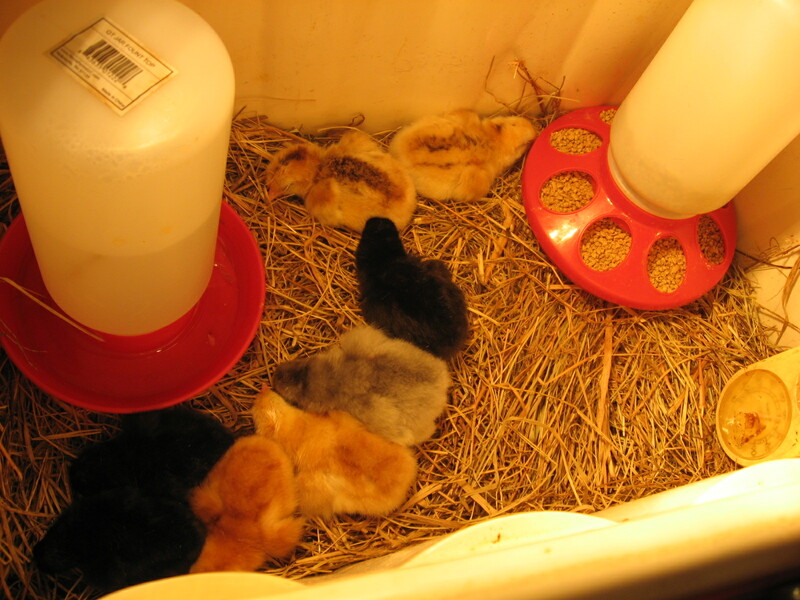 Eight chicks sprung forth. We broke the remaining eggs to discover complete nondevelopment, so they were never fertilized. We now wonder who’s got issues. George? One of the reds? We had to cull one chick as it appeared deformed and possibly sick. I didn’t want the others infected, and the deformation appeared lethal in a painful way. These things happen, unfortunately. 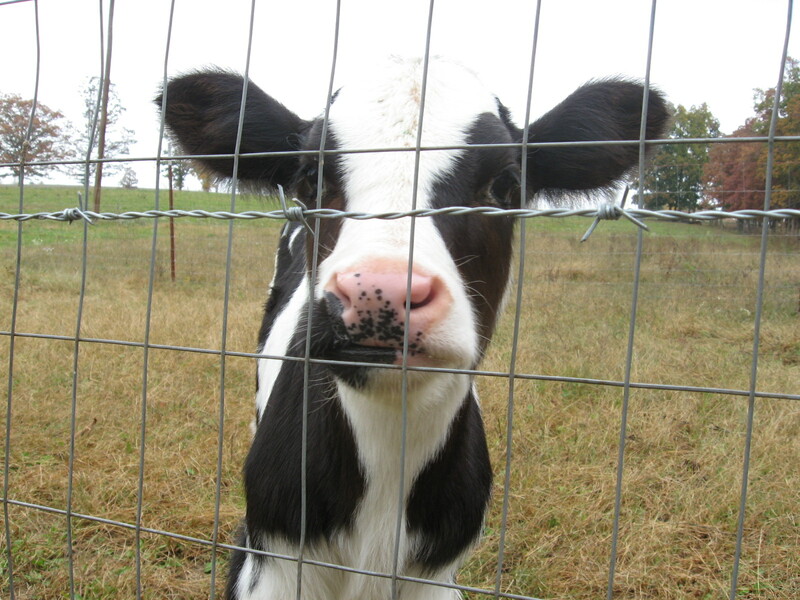 The calves have grown like weeds! Baby is now fully halter trained, but still fights periodically. You have to keep a short leash. We still haven’t gotten rid of Mya. I just hate to. She was four when we got her, and her previous owner had surrendered her to the pound for reasons we don’t know. I can’t do that to her again. But, it may come to that in the future. Here are a pic of the chicks. Keep in mind, one of the yellow ones at the bottom is no longer with us. We sold off all but two Marans. One is a young roo we are saving for Thanksgiving. The other appears to be a pullet. We’ll keep her. We have discovered RIRs rarely go broody. We may buy a Silkie or other hen to raise chicks for us. I prefer the natural way of course. We make more selling the chickens than what we save eating them. We will sell what we can from this new clutch and eat the remaining. Here George and his harem found the cow barn. They go there all the time now and eat some of the grain we give the calves. I became very sick one morning. Actually it wasn’t that bad…and then it got bad. Arlis found me passed out in the bathroom floor with excrement all over the floor the next morning. I went to ER and got fluids. He said I probably lost about a gallon of water in the floor alone, plus whatever I was able to get where it was supposed to go. The ER gave me meds that made everything worse. I went to a walk-in a day or so later. They gave me meds that helped. I was sick for over a week, and it was very, very bad. I realized that if not for the fluids, I could have died easily. I suffered an illness that could have killed my grandmother or great grand mother. That was a very……thought. I wanted to make a separate post for this, but I won’t. We lost Merlin. She laid a few eggs for us, and there are two in the incubator just in a case a male came into her life at some point in time. If the eggs don’t hatch, I may try blowing one. It was a wonderful thing to have a duck quack and fly its way to you in the morning, greet you at the garden and eat the bugs you give it, and then wave and tell it bye as it flies off at sunset quacking. She sometimes flew by once or twice just for fun or to say hello. Arlis found her one morning outside my bedroom window while I was sick. Marcus cried, I wanted to. We guess she got too comfortable with Mya and stayed around too late one night or something. We don’t really know. I can’t help but think if I hadn’t been sick it wouldn’t have happened b/c we double check each other to make sure she goes home at night. 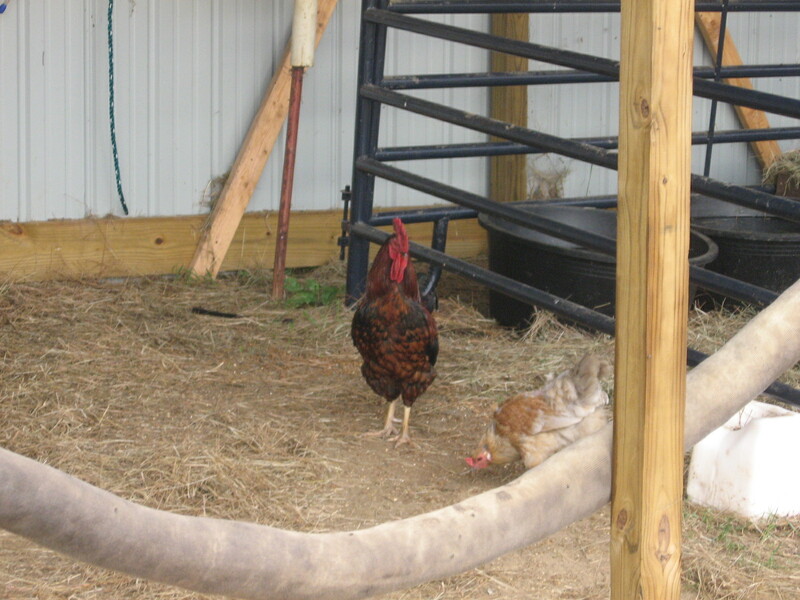 We also double check each other that all the chickens are accounted for before closing them up. Arlis missed one while I was sick. We assume Mya got it. We tied it to her and left her outside for three days like you’re supposed to in order to cure them of getting chickens. It didn’t work. We let her out as a test one day with a muzzle on. She got feathers and broke one of George’s spur even with the muzzle on. We’ve asked around to people we feel are responsible enough to care for her, to no avail. At this point, we plan to take her back to the pound from wince she came, but we may not. I don’t really know what to do. The stove won’t be installed until the 7th. We’re using CHA until then. We don’t want to and hadn’t planned to and hate it. It’s so much colder than the wood heat. My sinuses are informing me how much they don’t like the CHA either.